According to Lamp, their third release, Komorebidoori ni te, was one of the toughest recordings of their career. Thankfully, their hard work paid off: I think it’s fair to call Komorebidoori ni te an absolute classic album that has stood the test of time. This interview from 2005 was published in the free magazine “bounce,” later re-posted on Tower Records Online in slightly edited form. You can buy Lamp’s music directly from the band, both physically and digitally, on Bandcamp. 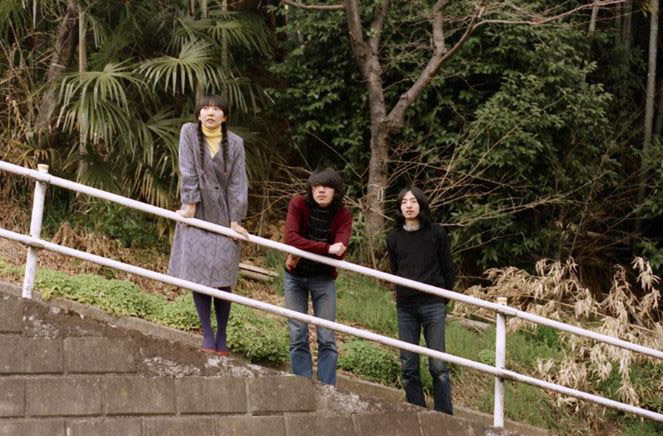 Lamp — a three-piece band that debuted in April of ’03 with their mini-album, Soyokaze Apartment 201. Their third album, Komorebidoori ni te, clearly showcases the members’ stubbornness in their attitude towards music — it’s a work of zero compromise. The harmonies of their male-female twin vocals, already highly praised since their debut, have been refined even further, and the gradation between their rhythms and their carefully selected tones has become even more vivid and colorful than in the past. We’re glad to present to you an interview from behind the scenes of this new-generation, pop music masterpiece. How much longer would the two of us have lasted?